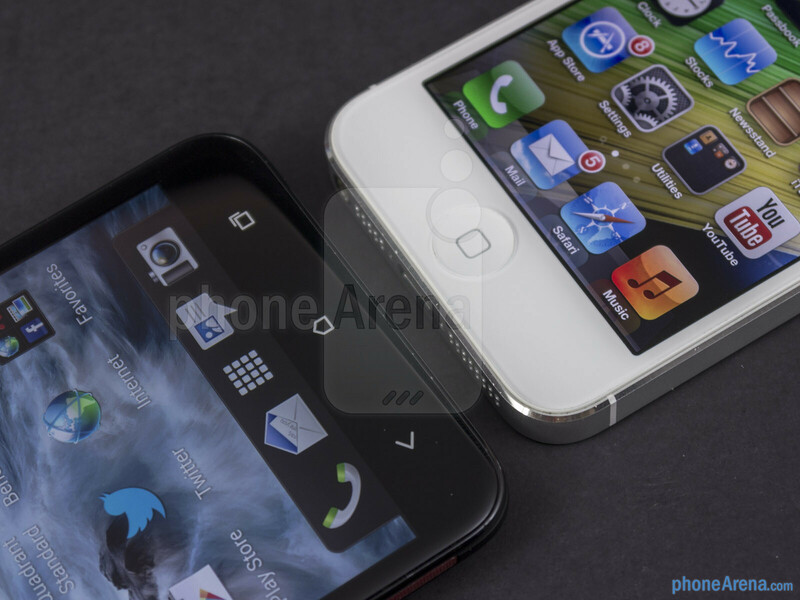 Always being a force to reckon with at any time, Apple’s mighty iPhone 5 stands highly amongst the crowded smartphone landscape with its suave personality that’s capable of entrancing consumers with its cohesive quality elements. In this day and age, however, we’ve seen several other devices that prove to be more cutting edge than the device widely panned as the most popular smartphone in the world. Quickly making its arrival and presence known in time for this crucial holiday period, the HTC DROID DNA is simply one of those new smartphones on the block that really catches attention for its killer specs sheet. More importantly, the question is whether or not it has the right stuff to steer people away from Apple’s beloved smartphone? By just looking at the two, there’s a stark contrast with their designs, which makes it rather difficult to choose one more than the other since they have their own lovable aspects. 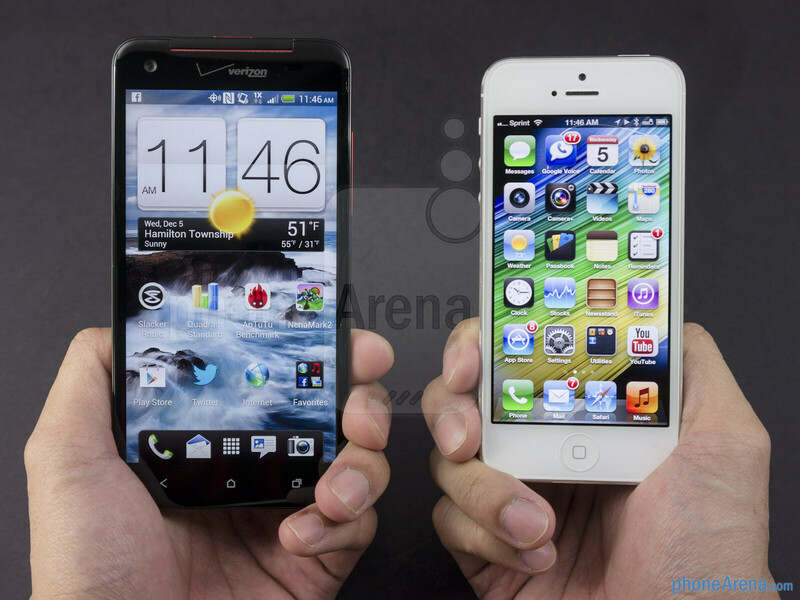 For sure, there’s a huge size disparity between the two, as the iPhone 5’s smaller footprint proves to be more manageable in the hand – whereas the DROID DNA is a handful to operate. 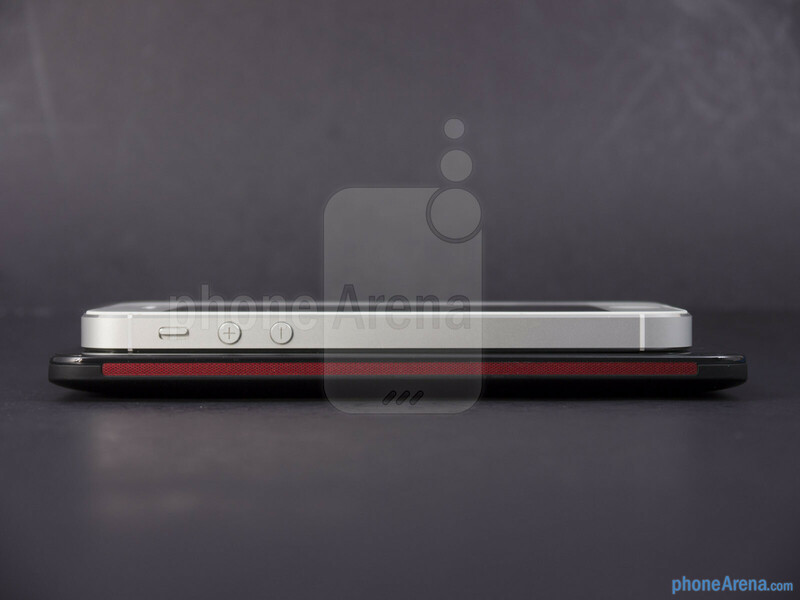 At the same time, Apple’s pride and joy is both lighter and skinnier in profile than its rival, but above all, it’s the premium element associated with the iPhone 5’s construction that continues to be its most attractive feature. Still, the DROID DNA has a stylish design of its own, though a bit more modest, thanks to its tapered design and the clean finish that its soft touch matte casing offers. Relying on that iconic recessed home button, which is springy in response, there are no accidental presses with the iPhone 5. Oppositely, seeing that the DROID DNA utilizes the usual trio of capacitive buttons, which are positioned close to the bottom edge of the display, we’re still finding ourselves accidentally pressing them. Meanwhile, it’s nice to find that HTC’s beauty is packing an LED notification light – both on the front and back of the handset. Considerably more prominent in feel and springier in response, we’re digging the iPhone 5’s power button and volume control – whereas, it’s flush to the surface and lacking any distinctive response with the DROID DNA. Checking out some of the commonalities they share around their trims, they include the 3.5mm headset jack, noise-cancelling microphone, and standard mic. 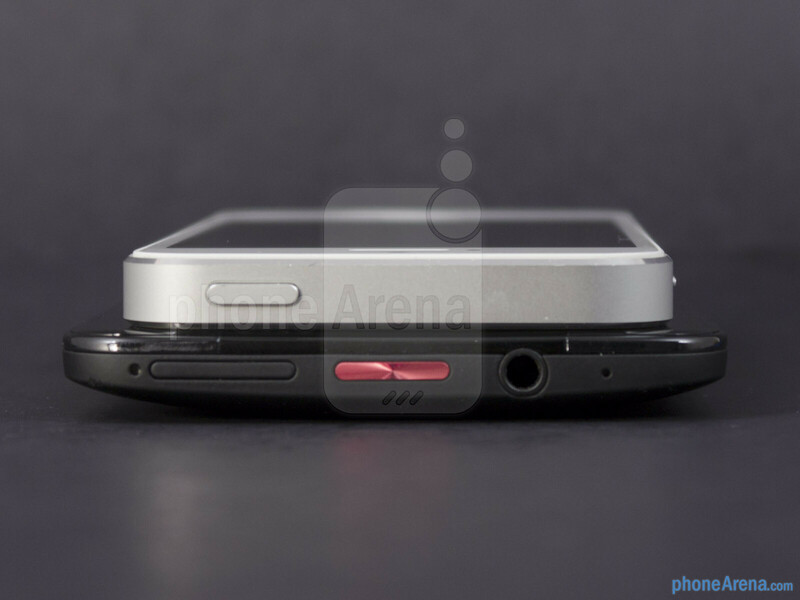 However, the DROID DNA employs the more favorable microUSB port for charging/data/video-out connectivity – with the iPhone 5 sticking with Apple’s new Lighting docking port, which lacks video-out functionality. In the rear, they’re both sporting 8-megapixel auto-focus cameras that feature backside illuminated sensors, LED flashes, and 1080p video recording. 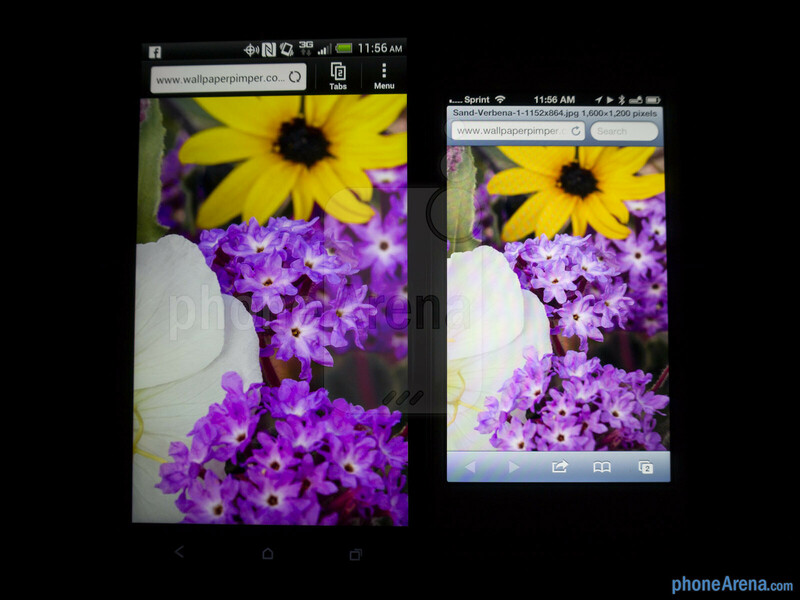 However, the DROID DNA flaunts an f2.0 lens – with the iPhone 5 siding with an f2.4 one instead. 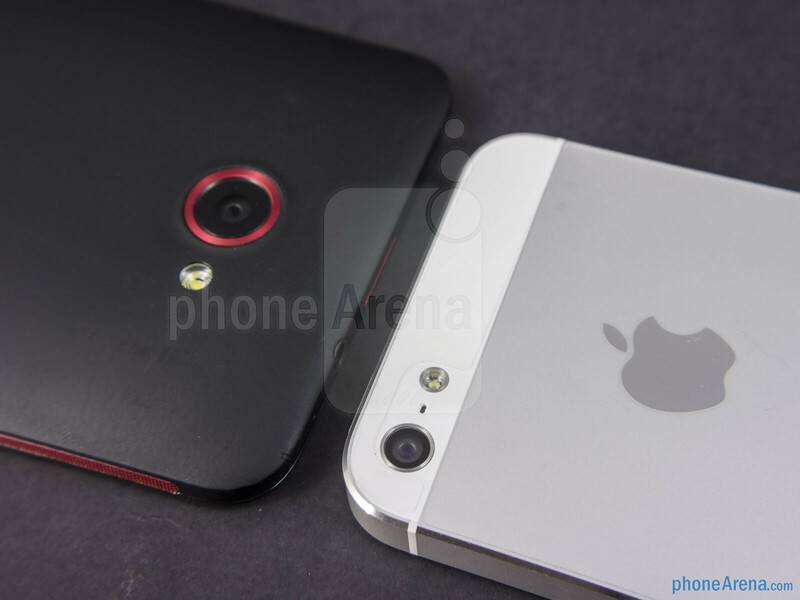 As for their front-facing cameras, it’s a 1.2-megapixel snapper on the iPhone 5, which can shoot videos in 720p. Somewhat more impressive, the DROID DNA features an 88-degree wide-angle 2.1-mgepixel camera that features an f2.0 lens and 1080p video recording. Ever since the introduction of the iPhone 4, Apple has coined the term “Retina Display” for its super detailed screens, and with the iPhone 5, it finally moved up to a 4-inch Retina Display featuring a resolution of 640 x 1136. 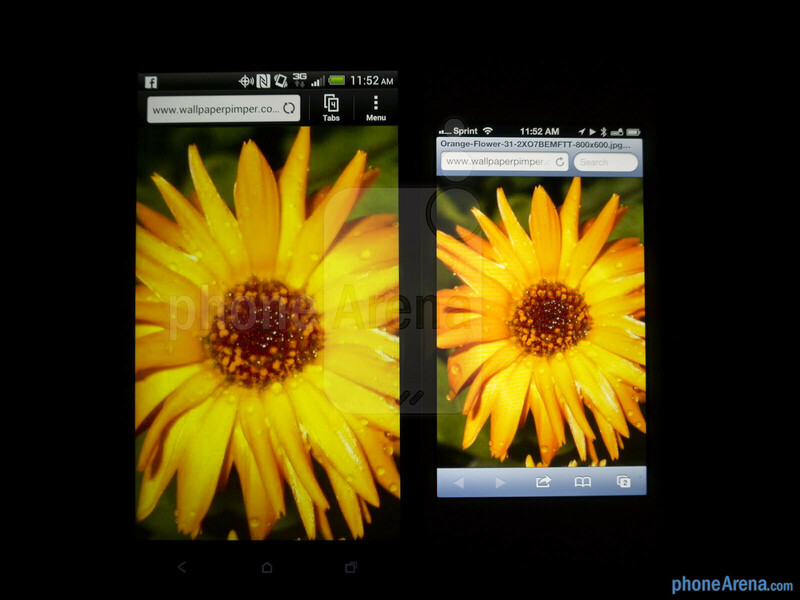 Sure, it’s sharp and detailed with its very respectable 326 ppi pixel density, but it has been surpassed by the 441 ppi pixel density conjured up by the DROID DNA’s 5-inch 1080 x 1920 Super LCD-3 display. Although it’s sizable advantage on paper for the DROID DNA, our eyes have difficulty in distinguishing which of the two is delivering the better detail from a normal viewing distance – so essentially, they look equally sharp. Upon closer inspection, however, it becomes evident that there’s more definition with the sharpness of the DROID DNA’s display. In terms of color production, they both exhibit some warm tones, which adds an appealing sense of vibrancy to their looks. Yes, they’re extremely visible outdoors with the sun present, but we notice that the iPhone 5 has the higher brightness output and wider viewing angles. its not bias actually. im not an apple fan BTW. But it is. I'm an apple fan and even I know that the DNA should have been declared the winner. 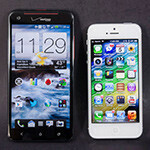 The only real future proof android phones that can match apple are the nexus lines. Even the sgs3 (which is a great phone btw) is still on ics in certain areas. Still future proofed, as only Verizon GS3 are left to get their update to jellybean. Carrier specific phones are the reason for the death of phones before their time with slow updates and the like. Once the Google initiative hits this should fix that crap, as all OEM phones will be required to have Vanilla Android and OEM tweaked Android and the user makes the choice on which to use. To some extent I agree with you. Irregular updates is a true story. For geeks, DNA is the winner. Future phones will need to have these specs to run all apps smoothly. I am already feeling the pinch because of my ancient hardware. 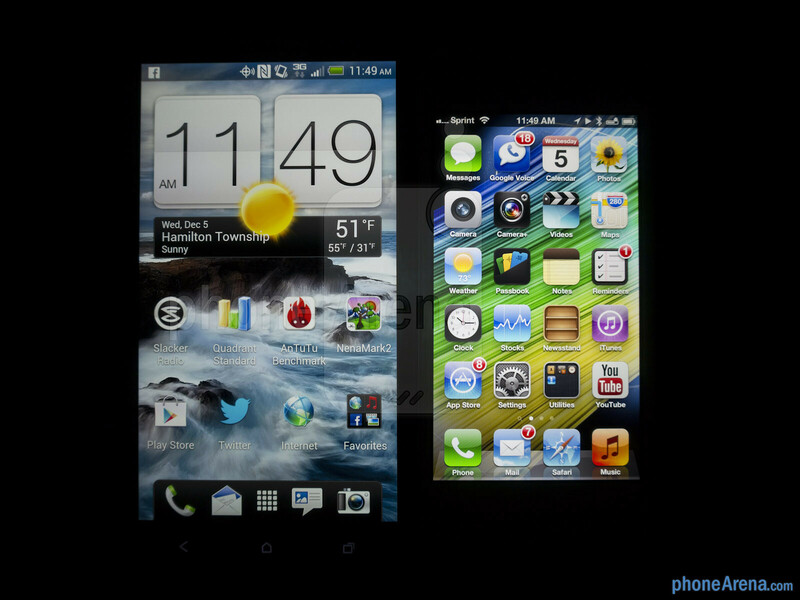 But, even Android 4.0 is better than iOS 6 , infact I have met people who preferred not to update their OS from 5 to 6. Until and unless Apple decides to redesign its whole OS, I will stick with Android as even older iterations of Android are better than latest of iOS. Also, on android, OS itself isn't the only way to get all the new features. Already developers are providing Daydream, 4.2 keyboard and camera functions to 4.1. Also, old phones like iPhone 4 can't enjoy some of the latest features of iOS, not even after jailbreaking (which btw hasn't arrived for iOS 6). I am using HTC Desire with 4.1, never had any regrets with Android. Future proof, until you realize that HTC won't give more than 2 major updates to it, if that. 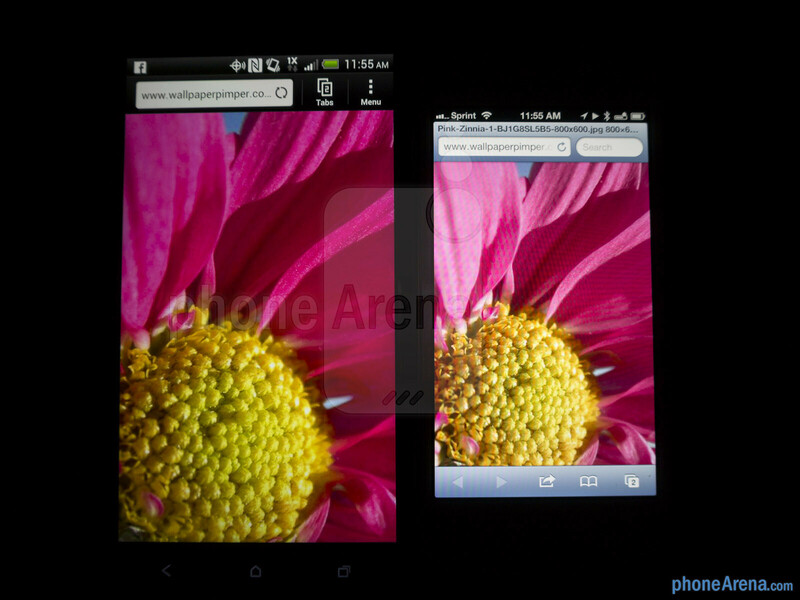 I love HTC (obviously), but what's the use of giving a phone such monstrous specs when you aren't going to update it? I doubt the DNA will see past 4.2, and if it does, it'll be way down the road. And if you mention roms, then just about every Android device is future proof given the right amount of dev support. What the hell is a droider? You sound like the fanboy equivalent of a bigot. Why do you have to start name-calling. What's wrong with being a Droider? I have a client at my NYC hair salon who got one of these HTC phones and LOVES it. She also likes taht it's on AT&T's 4GLTE vs. HSPA+. It's all about speed in this city. actually, i have to agree with phonearena. It's up to your personal preference in this matter. 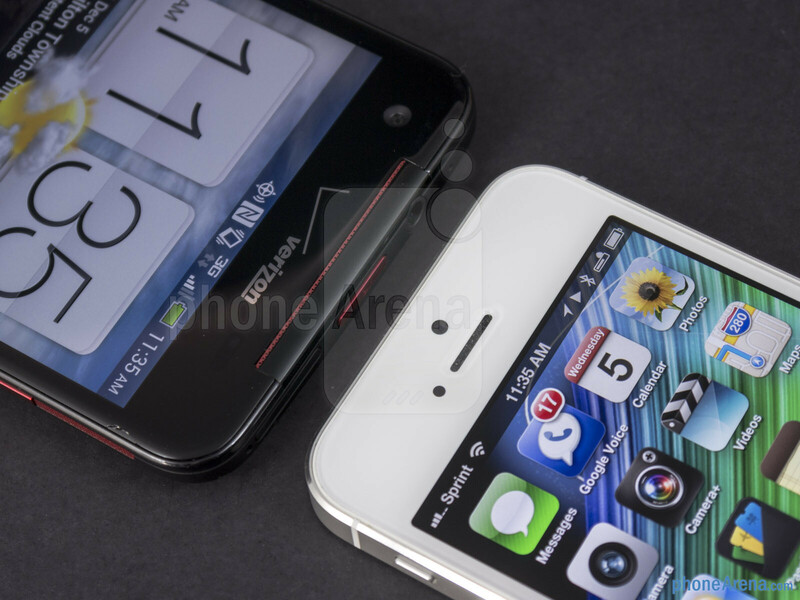 Their both great handset. It's not bias. I see a clear and fair review here. The bias is in the language. I have been following PA for a long time to notice it. In case if droid performs better than iP5, than they prefer to write "the rival (iP5) matches the performance of ". If iP5 performs better, they write "iP5 is a bit better in performance". This kind of language can affect a consumers decision. 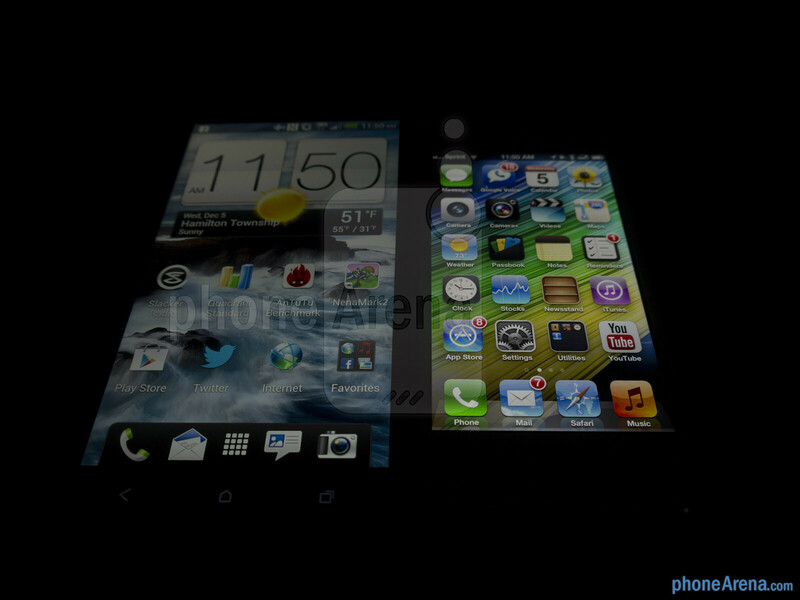 Also, they have been playing down 4 inch screen size for far too long and the argument of thumb friendliness evades me. If thats the case, can we expect them to stick to 4 inch and 16:10 ratio? No. Apple will increase the screen size of future iterations. Suddenly, that will become the best design and best iPhone ever. 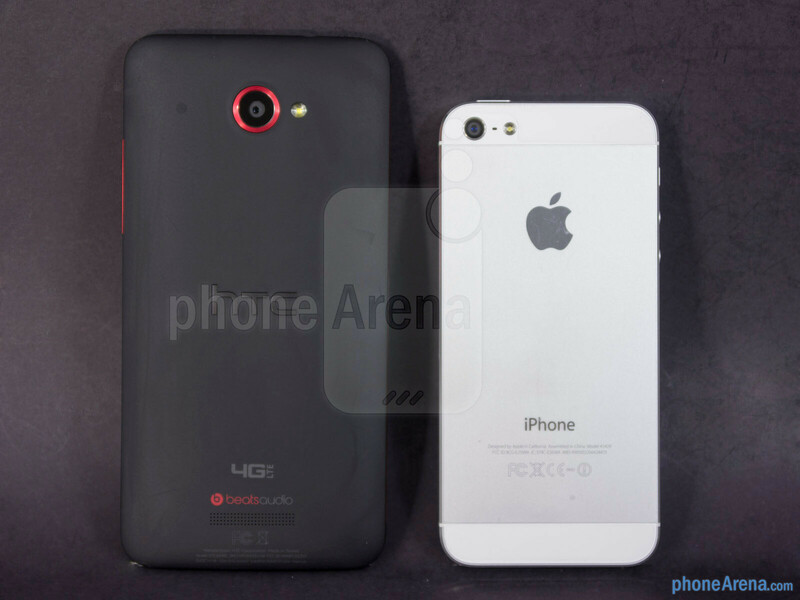 Most people doesn't even know the best part of iP5's design. Its awesome battery life in a small lighter package. 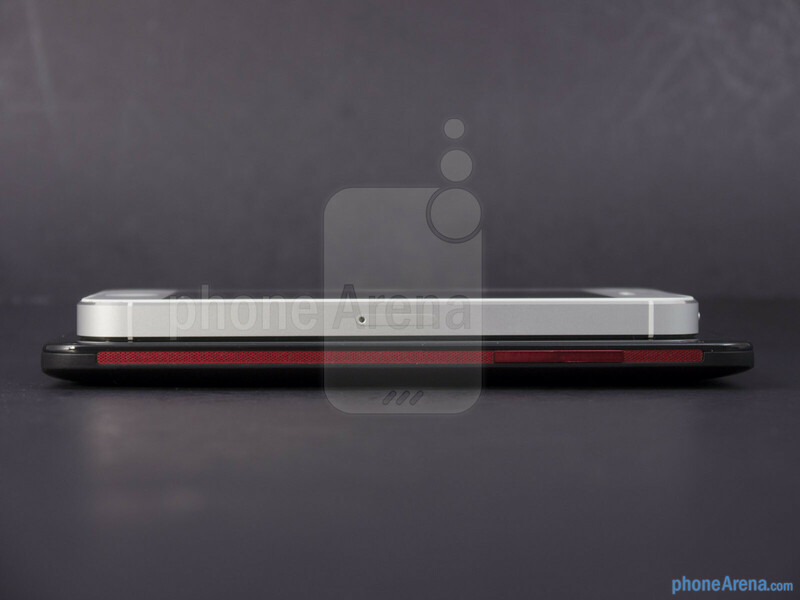 Infact, I would prefer 4S's design instead of 5's scratch-ophilic aluminium with a trade off on weight. iPhones are known to look beautiful. 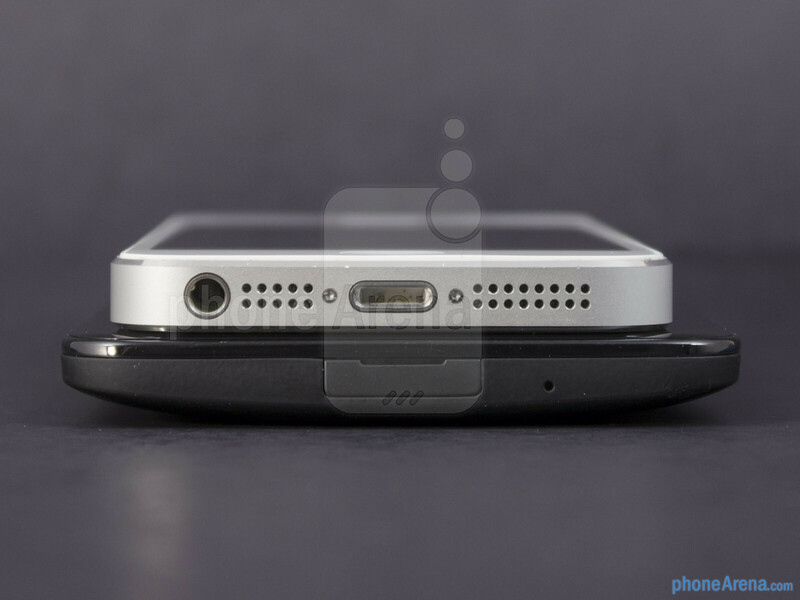 Its a shame you have to hide iP5's back. Just read the introduction of both devices, and you will feel what I am trying to say. May be you can remove the sugar coating and be objective, but the same is not the case with everyone. People do make their assumptions subconscious while reading, which if biased, can affect their final decision. PhoneArena is not biased.. they are just trying to be politically correct.. I agree. 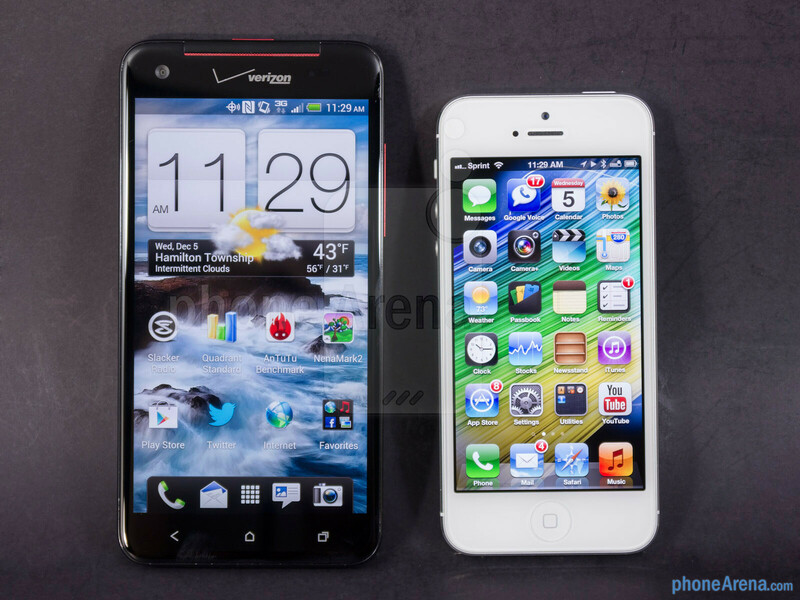 You ever seem to noticed no matter what phone/tablet they put up against the apple they always say apple is the winner. Even though nothing has really changed since the first Iphone was released. There is really no sense in reading the review or watching the video you already know who they are going to declare the winner. I believe the DNA did win. 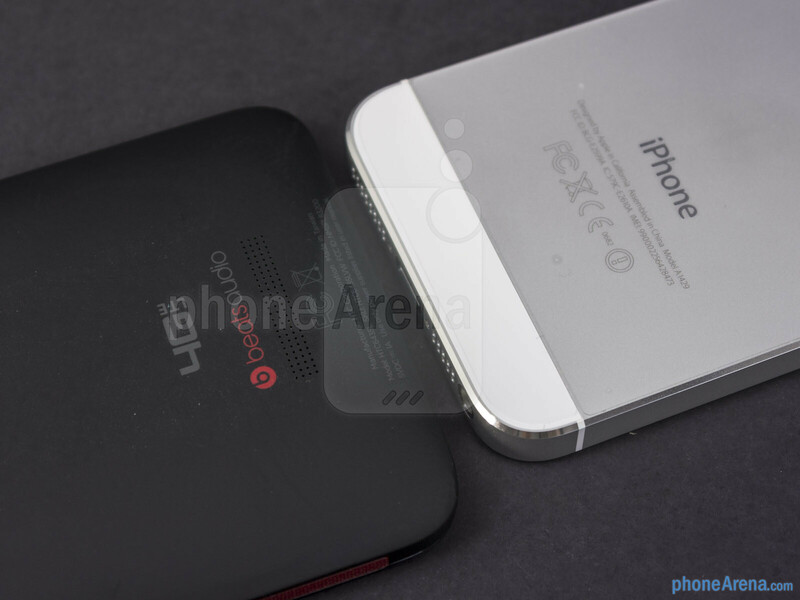 PA seldomly ever out right says that the "rival" (Which implies that the iPhone 5 is the champion of these comparisons) is a better buy than the iP5. So usually when the reviewer says it all comes down to "personal preference" take that as the iP5 just lost. You don't have A vs. B comparison and then as a result say it comes down to personal preference. 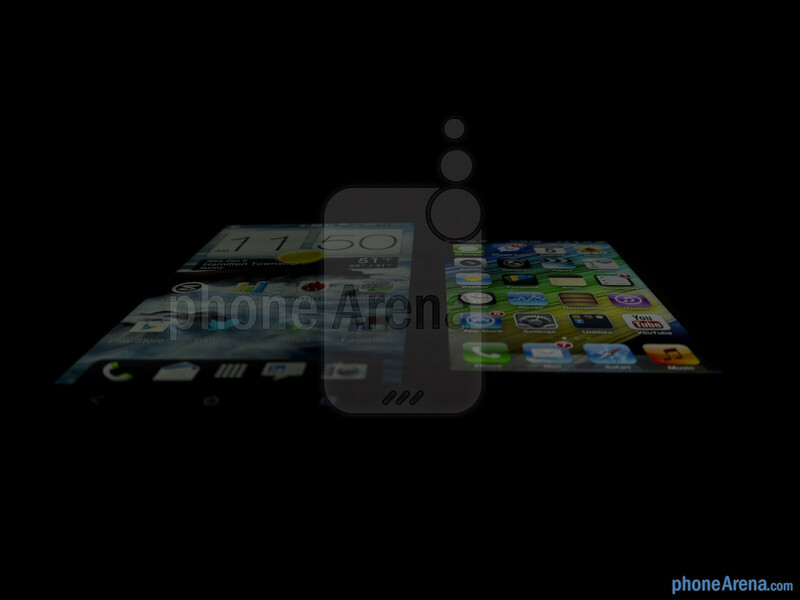 Especially, when The DNA has such obvious advantages over the iP5. Of course it comes down to personal preference. I though the point of these head to head comparison was to have an informed opinion on which phone gives the average user the most for their money. If that is the point then the DNA is the obvious winner but, if these comparison are just side by side reviews with no winners or losers then PA should treat them as such. Is HTC DNA's brightness level kept low ? Big vs small? Apple fanboys always use this argument: it's preference. Really? Now iP5 moved to bigger screen they claim it's big IMPROVEMENT from 4S and that they can't come back to the TINY screen of the 4S again. Of course there are people who prefer small phones, but I'm sure that the overwhelming majority will prefer DNA's size to iP5. There can be only 1 winner, DNA all the way. I don't live in the US. But I know that HTC's sales went up because of this phone. Given a choice I would go for the phone with the highest value: The Droid DNA The only sensible conclusion I could come up is that the only phone the Iphone 5 manages to beat is the Iphone 4S. How is this 10 thumbs up? There are more anti-apple people than there are Apple fanboys and such bias is really aggravating. I'm a Lumia 900 user and will never buy an Apple device, but at least I see that they aren't complete trash like people say they are. The Iphone has a better camera, better video, brighter screen, better viewing angles, more apps, (probably better battery life this comparison is really vague), lighter, easier to carry, etc. 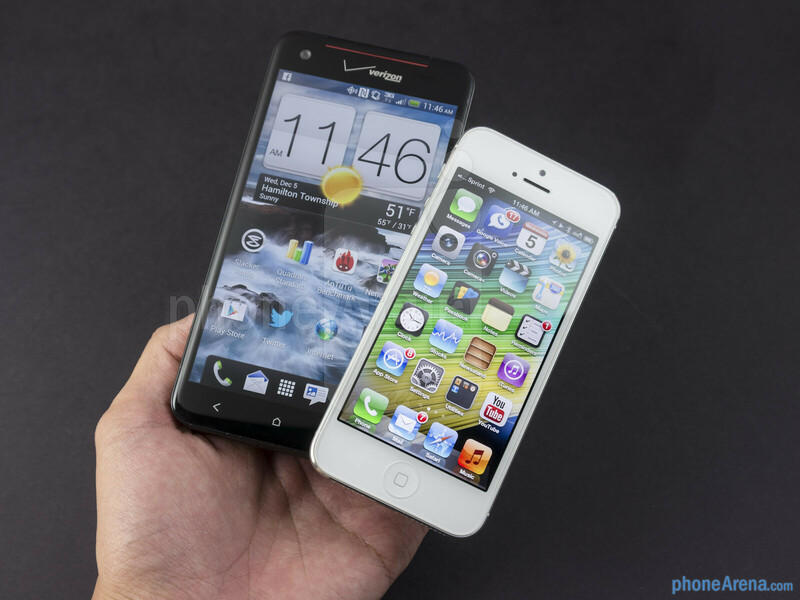 While I'm not trying to suggest that the Iphone is the better of the two devices, I am certainly not ignorant enough to say that the only phone the Iphone 5 beats is the Iphone 4s. Lets remember that without Apple, phones would not be where they are now. And I completely agree with you. I hate Apple for all the legal patent bull sh*t that they pull and their over-hyping every aspect of their products, but I think people take their hate too far. They may be a terrible company when it comes to ethics, but their products are not the worst things ever made. So yeah, I absolutely agree with you, I just think people bash Apple to bash Apple and are really close minded about it all. Have you have ever invented anything or patented an idea? If you have, then you may understand the importance of protecting that which you have so heavily invested in. Create vs Copy - that is what is stake. phones would be much farther advanced without apple. dont kid yourself. they have been holding back innovation for years. before you come on here and bash others you should stop for a minute and think abotu what youre typing. I would agree that they would be without Apple placing a patent on every little thing they think is "innovative" but it's also important to note that Apple were the first to really revolutionize the smartphone. They are part of the reason that we have the phones that we have today and it's ignorant to come on here and just start bashing Apple. Wait what? Lets keep in mind Google was creating a BlackBerry OS competitor before they saw iPhone.